Firebreak, a modern chewing-tobacco product previously only sold in Japan, is now available world wide. Quite simply, Firebreak is a modern chewing-tobacco product. 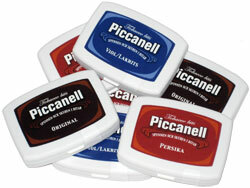 It comprises finely ground tobacco flour that is embedded in a chewing-gum base. The proportion of tobacco in the product amounts to 3 percent. Like other types of chewing tobacco, Firebreak requires a special chewing technique. The user chews the piece a few times then allows it to rest in his or her mouth before once again chewing. Through this technique, just the right amount of nicotine is released each time the user chews. A package contains ten pieces of Firebreak.